Are you still distraught at the trouble of grading the peanut & almond kernel? Now, you do not have to be so bothered, because Amisy can save you troubles for supplying the peanut & almond kernel grading machine which can sieve these kernels fast and easily. 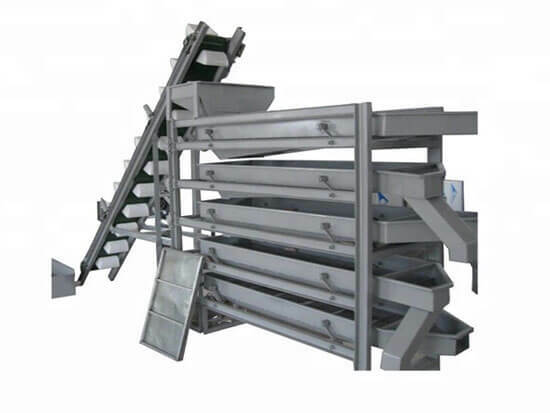 As well as the almond kernel grading machine, we can supply you almond shelling machine, roasted peanut peeling machine and cashew grading machine. 3. Large capacity, high efficiency, and exact grading process. 4. After grading, the big and small size kernels will be automatically separated from the different discharging mouth. Peanuts and almonds can both be used for cooking and snacking. Almonds are the most nutritious of the nut family because they contain high levels of protein, carbohydrates, vitamins, and fiber, Peanuts are also high in protein. Both of these foods have different varieties based on their flavor and features. The peanut mainly has 4 types, they are Virginia peanuts, Spanish peanuts, Valencia peanuts, and Runner peanuts. And the almond has sweet almonds and bitter almonds these 2 kinds.